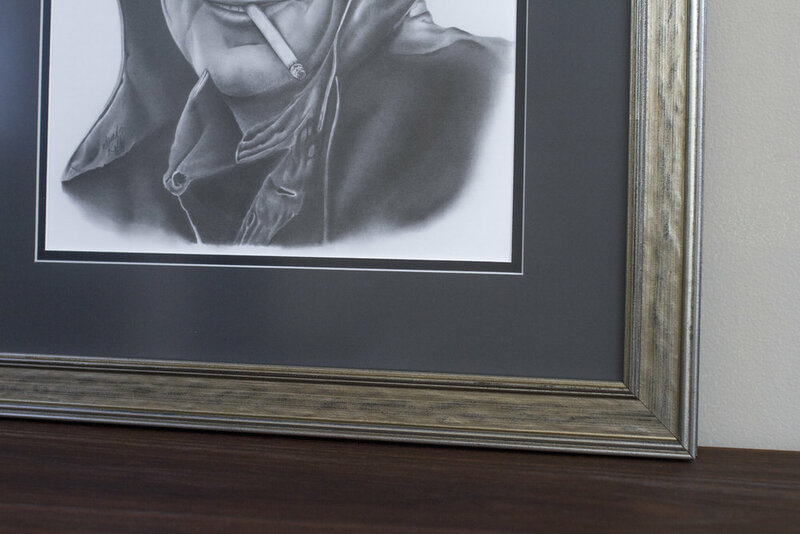 Displaying your finished portrait in your home or office will add character, warmth and life to your space. 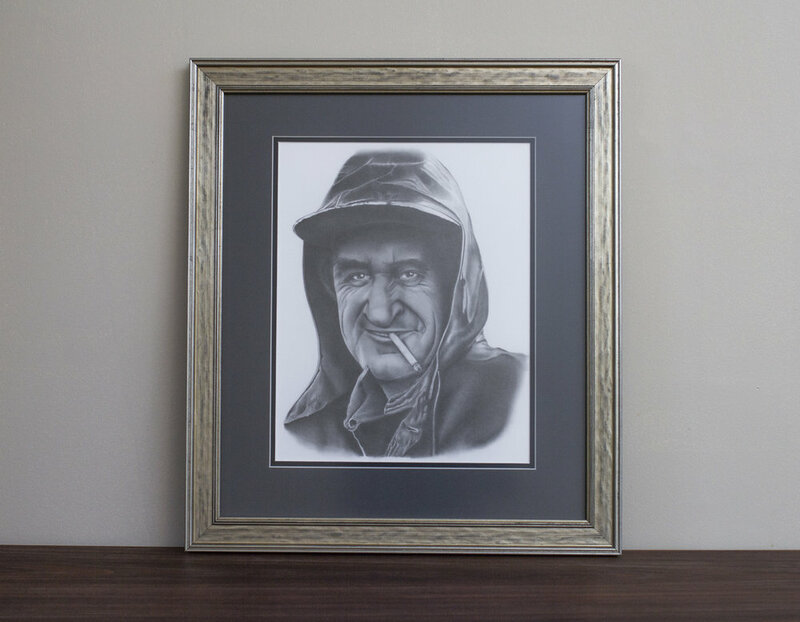 Professionally framed portraits will protect and ensure the life of your portrait. Professional framing of your portrait will make your finished piece stand out in an impressive and stunning display. I've partnered with Peachtree Gallery in Oakville, ON so that I can offer you an impressive finished touch for your artwork. When you order a portrait through me, I go through the entire process to have it beautifully framed, from drop off to pick up, and hand delivered or securely shipped to you. 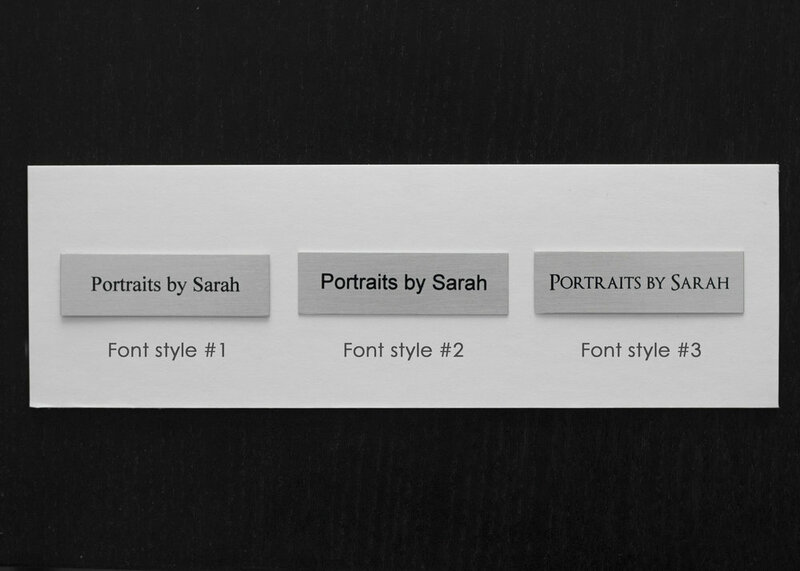 Portraits come with standard framing - All wood frames in black, white or grey with double matting in choice of color. Option to choose upgraded custom framing and impressive name plates to add to your framed portrait. Prints of your original portrait. Choose from traditional or eco - friendly bamboo fine art paper. Some portraits make excellent recreation prints when printed on canvas. The image is printed into fine art canvas, then wrapped around a wood frame that is ready to hang and display. They can be additionally framed for a stunning impression. Depending on the subject matter of your portrait, acrylic prints can add an impressive punch to display as a recreation print. The digital image of your portrait is printed onto a thick piece of clear acrylic and then mounted on the back so they are ready to hang and display in your home or office. Special occasion, thank you, or greeting cards sets with your artwork on the front. Please start by sending me an email describing your portrait idea to portraitsbysarah@hotmail.com with your favorite photo/s attached or send through WeTransfer. Call me direct at 416-894-7671.